Our first week of work at Joshua School started with introductions with the staff and a tour through the classes during a tea break. The RATA teachers paired off with their partner teachers, ready to observe and work alongside them. The library workers set off to the back of the school to tackle the container full of books. 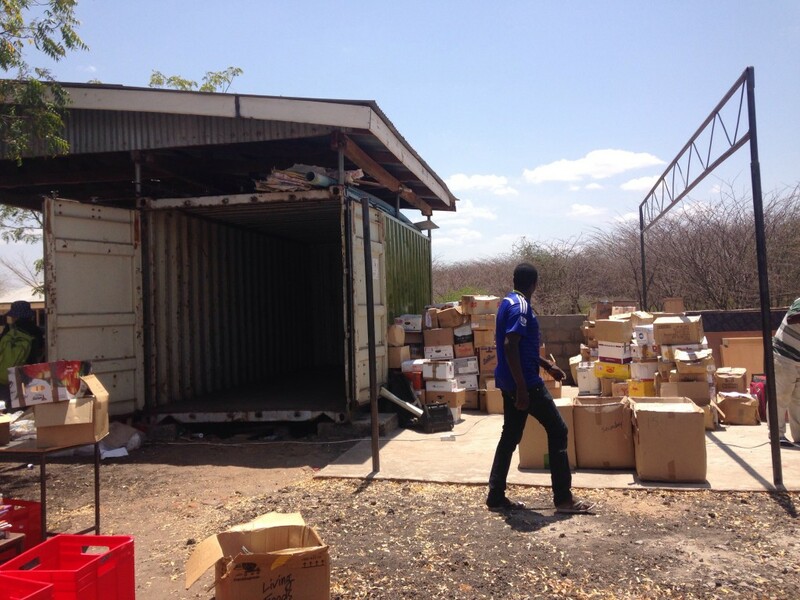 libraries that we sent over in a container which arrived in March, after an 18 month project of collecting and shipping the 13,000 books inside. 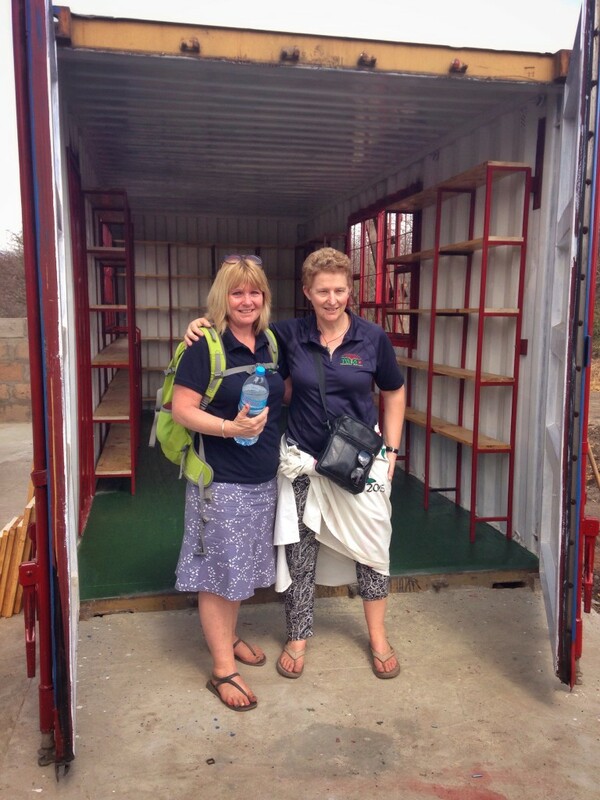 The library area looked great when we arrived, with two containers and a concrete pad between the two. One container was storage, the other had been transformed into a library with windows in either side and a door cut into the side. It had been painted, inside and out, complete with steel and wooden shelving for the books. 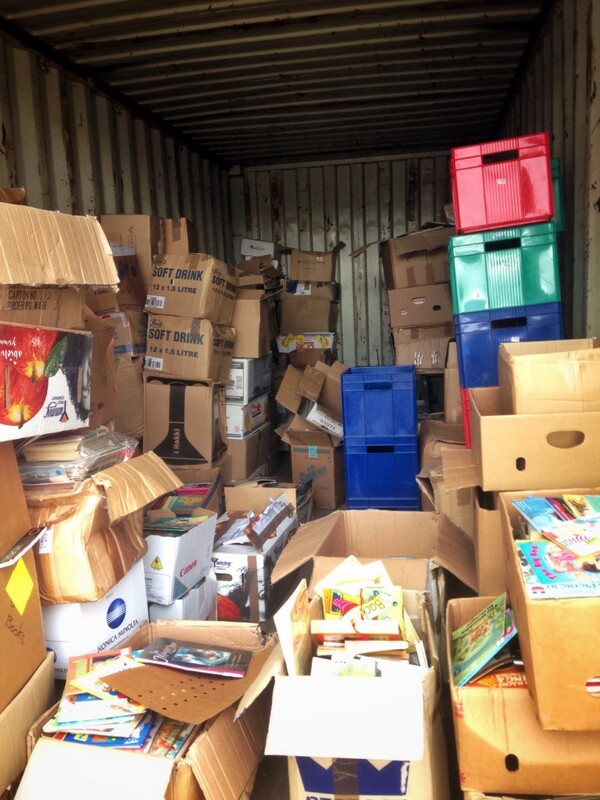 The storage container was a surprise, a mish mash of mess- broken boxes, books and all sorts of excess games and toys strewn everywhere. Our task: to unpack and sort it all out one box at a time, into categories such as non fiction/fiction etc. 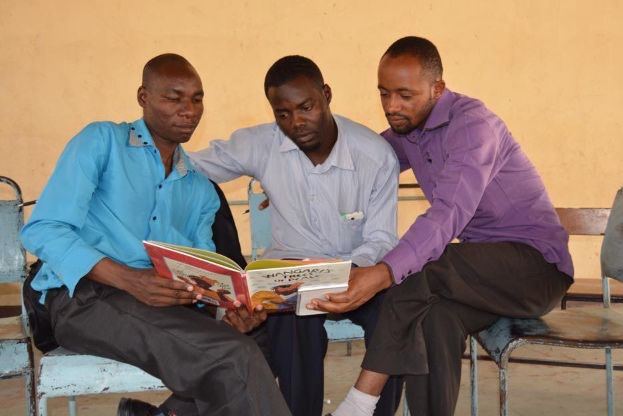 A couple of strong local men had been hired to help cart the heavy boxes out, as we went through each box checking if the books and content were suitable for the primary children. 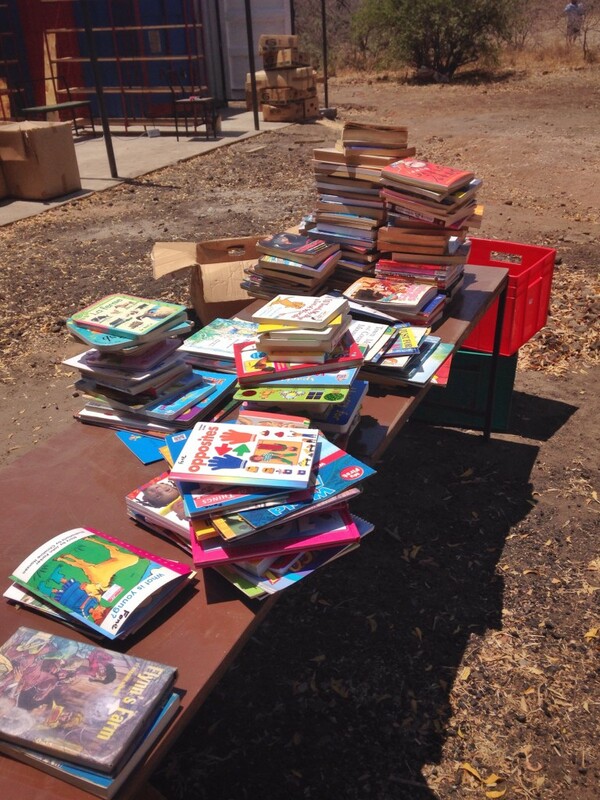 Purely sorting was a two day job, in the heat of the hot sun, carting heavy boxes and books back and forth. We made a slightly controversial decision to burn some books; purely for a couple of big reasons: One, Some books were inappropriate in terms of language or content. Secondly, others were outdated, bug-eaten old books that had been sitting for 5+ years gathering dust, mould and insects within the pages. 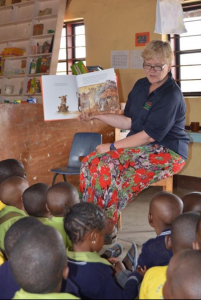 It was a decision which ultimately caused a small riot of sorts within the school – teachers struggled to understand why we would do such a thing and also, teachers and students alike grabbed books out of the smouldering fire, trying to rescue what was perceived as ‘good’ books. The decision was made to protect the children from taking inappropriate books home; having no means of recycling or repurposing, the tatty and torn books couldn’t really be re used and simply removing out of date books, for example- British textbooks from the 1960s which did not fit curriculum or current teaching methods – had sat in the old library for years without being touched. It was a difficult process of educating the “why” and having to retrieve books off the mob of children who are just desperate and hungry for any type of book, trying to console them with the promise of lots of brand new books ready and sitting in the new library. Not all the books were burned- some suitable ones were given out to all of the children to take home to their families and keep. The vision for education stayed strong, focusing on giving the children a future with excellent books and knowledge. On Wednesday, work began on setting up the actual library, transferring boxes to shelves and into sections. New and empty shelves were quickly transformed into rows of stories and knowledge as Liz, Glenys and Judy filled them up. Kaye, Anney, Judith and Helena worked with teachers in each of their classrooms, focusing on different skills, teaching methods, interactivity and things like educating the teachers on incorporating different ways of using resources in the classrooms; for example, using a picture book about rain for a science lesson.